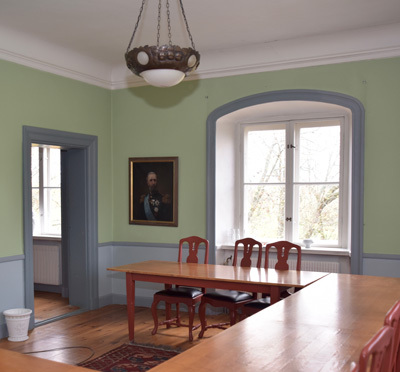 Husby Säteri is a well-preserved enchanting building with environment from the late 18th century. 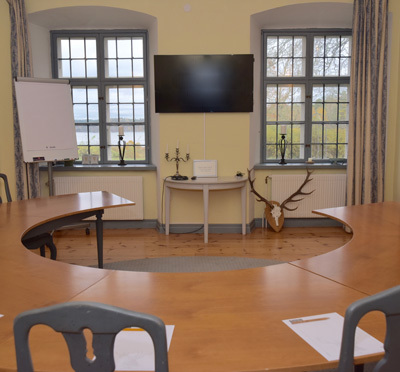 Here you will have the opportunity to meet in historic premises with views over Lake Slättbaken in St. Anna Archipelago. Our natural surroundings provide you with all the conditions for peace and quiet to gather your thoughts. 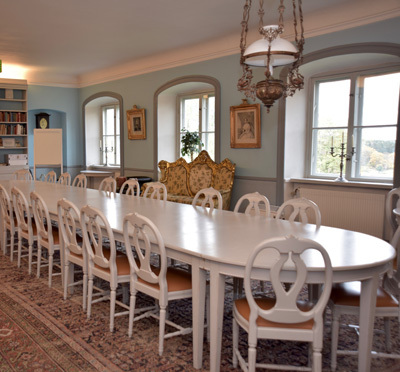 Husby Säteri has 4 conference rooms. 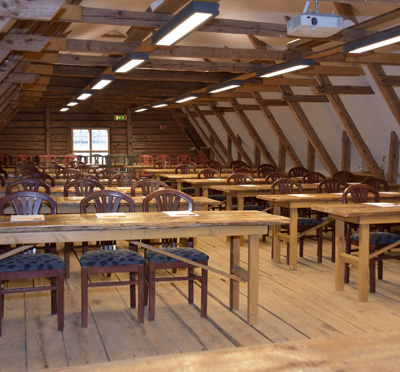 The most popular conference room is the library, Biblioteket, which accommodates up to 35 people. The conference room Stallet can held larger meetings for up to 65 people with table and chair or 120 in cinema seating, only chairs. Relax in the relaxation area after a day of conference before a great dinner with ingredients from the property such as meat from the wildlife from the area. Have you been to Husby Säteri and want to give your own comments?